Hi friends! 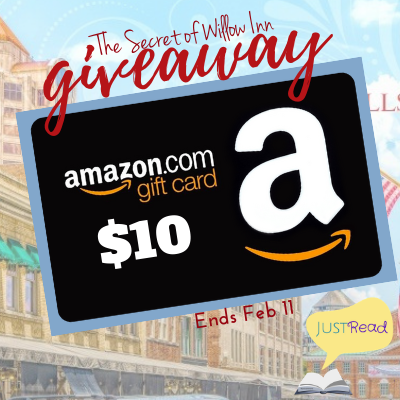 Today I get to take part in the blog tour for The Secret of Willow Inn! I get to share more about the book and an excerpt! Enjoy! As far back as Emily Hayes could remember, her heart yearned for a sister. She directed her earliest requests to Santa Claus, which made Christmas mornings a confusing blend of excitement and disenchantment. Later she bargained with God. He disappointed her too. When she learned where babies came from, she petitioned her mom with promises to keep her room clean and be the best sister in the whole wide world. Nothing worked. At some point, the pleas stopped, but the lingering desire left a hole in her heart. Yes! I haven’t read it yet, but I was lucky to be a part of the blog tour to share about it! I’m looking forward to reading it though. Same, it sounds so interesting! Fifty-plus-years of marriage is something to be super proud of!